Volkswagen has announced that it will end production of its iconic "Beetle" cars in 2019 following a pair of final editions of the vehicle. The move comes as Volkswagen emphasises electric autos and larger family-oriented vehicles, said Hinrich Woebcken, chief executive of Volkswagen Group of America. He said there are no immediate plans to replace the car at the moment. However, Mr Woebcken opened the door to reviving the model at some point, saying "never say never." Volkswagen plans to offer the two final edition models in both coupe and convertible styles. The cars will include nods to earlier versions and be priced at $23,045 and up, the company said. "The loss of the Beetle after three generations, over nearly seven decades, will evoke a host of emotions from the Beetle's many devoted fans," Mr Woebcken said. US sales ceased in 1979, but the vehicle continued to be produced in Mexico and Brazil, according to Car and Driver. 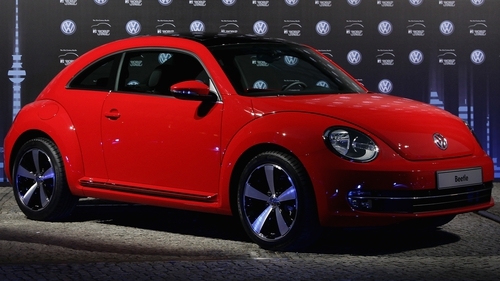 Volkswagen revived the "New Beetle" in the US 1997.